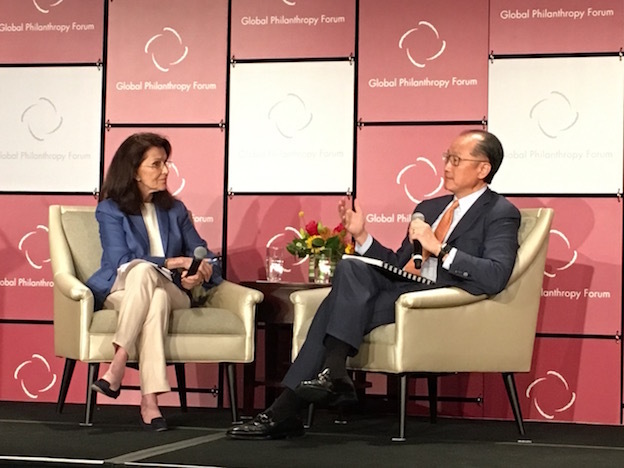 In April, I had the privilege of attending the Global Philanthropy Forum in Washington DC, focused on the theme of “Trust”. That theme seems particularly appropriate at this time. In January this year, the seventeenth annual edition of the Edelman “Trust Barometer”, which assessed levels of trust in 28 countries, revealed “the largest-ever drop in trust across the institutions of government, business, media and NGOs”. Trust in media fell precipitously and is at all-time lows in 17 countries, while the government is the least trusted institution in half of the 28 countries surveyed. This deep loss of trust in local, national and international institutions can, at least in part, explain the recent sweep of populist movements across different countries. Combined with rising nationalism, prejudice, hate-speech, intolerance, these populist movements appear to consistently share a lack of curiosity about divergent or opposing views and an aversion to engaging in constructive dialogue with “the other”, to understand and embrace diversity as a strength. According to the report, this preference for “the single story” is compounded by what appears to be a “media echo-chamber” effect, whereby the way in which people access and consume media (especially online media) serves to reinforce personal beliefs while shutting out opposing points of view, making them nearly four times more likely to ignore information that supports a position they do not believe in. 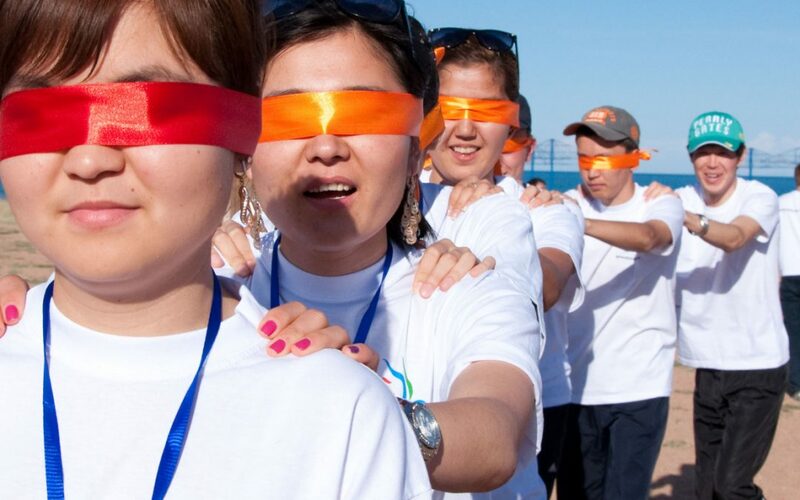 Generations For Peace is known for using a variety of innovative tools – sport, arts, advocacy, dialogue and empowerment activities – to support people to come together across conflict divides, to break stereotypes and build greater understanding, respect, acceptance, tolerance and trust. The activities (often used in combination) are selected to fit the local context, and provide a safe space and effective entry point for engagement. They are sustained over time (at least 44 hours of participation time) to provide a powerful vehicle for behaviour change, by changing capacities, attitudes, relationships and deeper cultural narratives. Our Generations For Peace approach privileges local knowledge and decision-making in communities. We respond to their priorities, build on existing strengths and assets, intervene through strong existing structures, and support community ownership through participatory processes at every step of conflict analysis, programme design, implementation and evaluation. We must leave our preconceptions and assumptions behind and enter with a listening approach. Indeed, when it comes to the identification of conflict issues, sense-making and evaluation of programme activities and their impact, Generations For Peace respects local opinions as the opinions which matter the most. Our long-term commitment to those we train, mentor and support, as well as to their communities through successive programme cycles year after year, also fosters deeper trust. This approach is not only more effective in delivering impact, but also ensures much greater sustainability. At the heart of our Generations For Peace mission is a focus on youth, and out of the four values which all our programmes promote, the very first is Youth Leadership. We believe in the enormous potential of youth, and we understand they are most disempowered when seen by their governments or elders as “the problem”, or when they are instrumentalised without being given opportunities for genuine agency. We see so many youth programmes providing “leadership trainings” or “life skills workshops” for youth, without any programmatic follow-up to give these same youth an opportunity to apply such learnings in their community. As a result, since they understand they will have no opportunity to apply what they have learned by implementing actions in their own community, many youth have come to approach such training opportunities cynically as, at best, a résumé-building exercise. The Generations For Peace approach is different. From the very start youth understand the selection process to attend our training is rigorous and much more demanding, because it involves a mutual long-term commitment to a journey together, with the training just being the first step. It is the significant investment in ongoing mentoring and support to lead the design, implementation and evaluation of their own programmes that generates the unique relationship they have with our organisation. They feel—often for the first time—that they are being trusted actually to demonstrate their leadership and responsible citizenship. That is at the heart of our high conversion rates (from trained “Delegate” to certified “Pioneer” having completed a successful programme implementation) and our high retention rates of youth leaders over years. In addition, the participatory evaluation processes, engaging broader community members, provide a powerful positive feedback loop when community members show the respect for the efforts of these youth and appreciation for their contribution. In our peace-building work, we understand communities and human social systems as complex adaptive systems in which simple linear approaches are ineffective. We combine a long-term commitment with adaptive approaches: with flexibility to innovate, experiment, learn and improve. This requires building trust and a level of comfort amongst all stakeholders that it is acceptable to let-go of the strong impulse to create a perfect linear “A to Z” plan. We can then seize emergent opportunities when they arise, reaching people who were not accessible at the beginning. Only by building trust and credibility in communities over time are we able to gain access to leaders in the community, and to those people most directly involved in violence. Trust is the critical enabler that makes our programme actions much more impactful. As a non-profit organisation dependent on grants and donations, it is critically important that we are able to build trust with partners and donors supporting our work. We do this by generating shared ownership, by showing long-term commitment, by maintaining the highest standards of financial accountability and transparency, and by proving we have a robust programming approach which can deliver solid evidence of impact and sustainability, as well as compelling human stories of change. But we also build and maintain trust through honest conversations about risks with our partners and donors, to set clear shared expectations. Being open about challenges and setbacks when they arise helps us to co-create solutions together. So, trust is at the heart of our Generations For Peace mission. Despite limited resources, our lean model’s unique approach builds and leverages trust to secure disproportionate positive and sustainable impact in communities facing conflict and violence. The pressures of globalisation, widening inequality, failures of leadership and outdated institutional structures, are fuelling protracted conflicts and igniting new ones. Global thought leaders—Jane Wales, Jim Yong Kim, Rajiv Shah and others—are hearing the trust deficit alarm bell loud and clear. Their shared message: we must increase trust-building efforts at every level. We agree, and are committed to play our part.